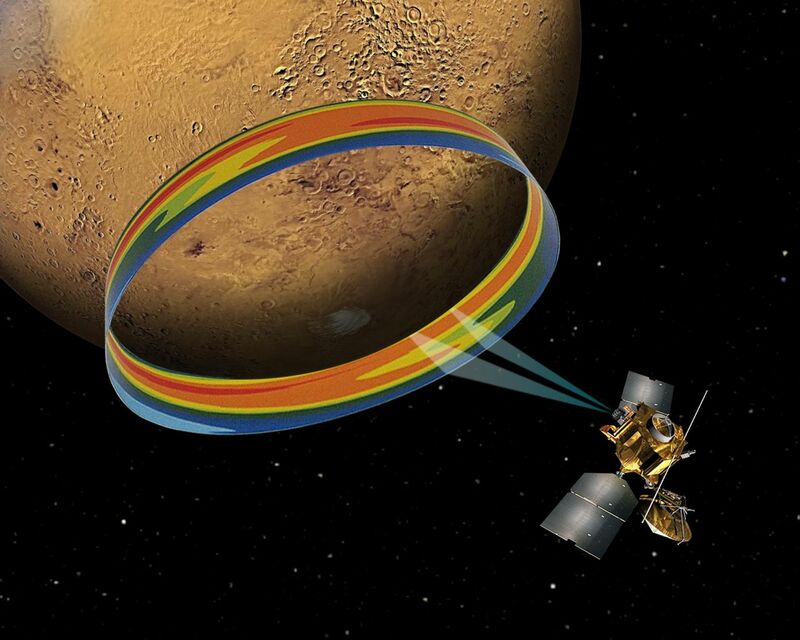 The Mars Climate Sounder is an infrared radiometer that can be pointed sideways for detecting temperatures at different elevations above the surface of the planet. Multiple measurements since MRO arrived at Mars in 2006 have provided a record of atmospheric temperatures at different times of day on both the sunlit (daytime) and dark (nighttime) portions of the planet. The data indicate that temperatures rise and fall not just once a day, as might be expected from simple warming by the sun, but twice, with a rise during the nighttime as well as during daytime. Researchers have identified the cause for this pattern to be the thin water-ice clouds that form in the equatorial region of Mars. The water-ice clouds absorb infrared light emitted from the Martian surface, and that absorption heats the middle atmosphere. In the graphic, orange and yellow represent higher temperature than green or blue. These results are described in a paper being published by the journal Geophysical Research Letters. 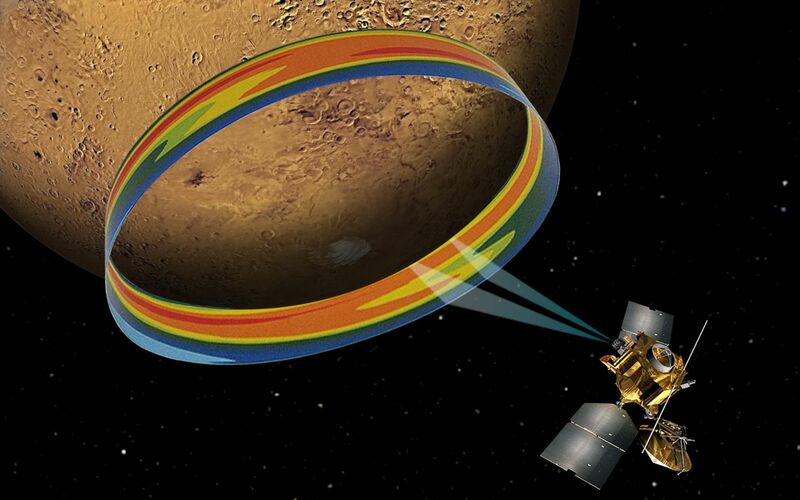 NASA's Jet Propulsion Laboratory, a division of the California Institute of Technology in Pasadena, provided the Mars Climate Sounder instrument and manages the Mars Reconnaissance Orbiter Project for NASA's Science Mission Directorate in Washington. 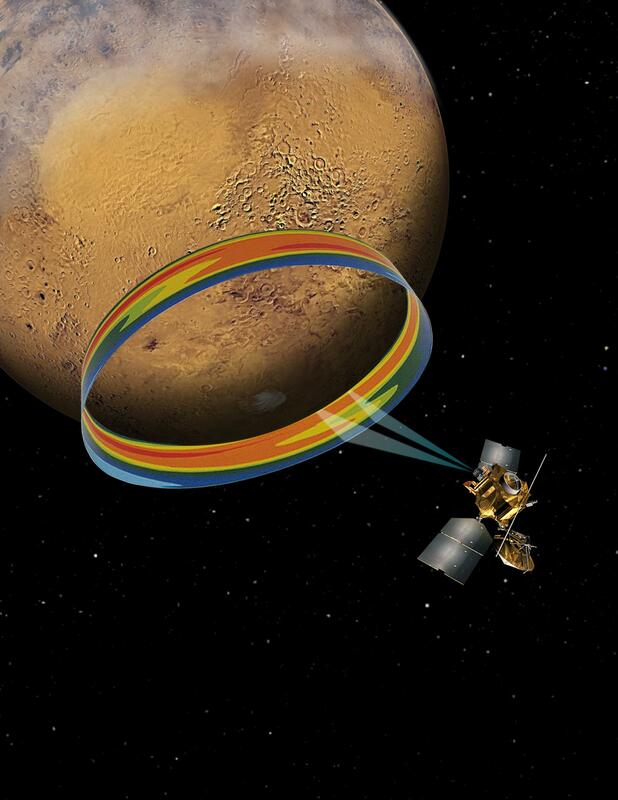 For more about the Mars Reconnaissance Orbiter, visit http://www.nasa.gov/mro.